Following on from the previous post about the very collectible Omega Cosmic is another vintage Omega, this one from an earlier period and perhaps even more rare, the divers watch known as the Omega Marine, first produced in 1932. The patent for this waterproof case was first granted on 10 March, 1930 (patent No. 146310), and the Marine, the great great etc grandfather of the modern Seamaster divers range, bears no hint of its descendants, with its Art Deco design rendering it a dress watch designwise, by modern standards. Considering its age, this example is in remarkably clean condition, the dial’s patina adding only to its charm. The rectangular measures 24 x 40 mm (including lugs) and comes in interlocking parts that are released by a clip on the back that releases the outer case, sliding off to reveal the hidden crown as well as acting as a ‘waterproofing’ mechanism. Inside is the calibre 19.4 movement with 15 jewels. The first experiments on the Marine watch were conducted in 1936 and involved immersing the watch into water at a temperature of 85° Celsius for several minutes and then plunging it directly into water with a temperature of 5° Celsius to test its resistance to extreme temperature variations. The Marine was the first watch to be tested at a depth exceeding 70 meters; in 1936 an Omega Marine was successfully taken down to a depth of 73 meters for 30 minutes in the Lac Léman; the temperature at maximum depth was 5° Celsius. I’m not sure I’d advise the same for this particular specimen. After a series of trials undertaken by the Swiss Laboratory for Horology in Neuchâtel in May 1937, the Marine’s locking lever, which sealed the parts, was certified as being successfully being able to withstand a pressure of 13.5 atmospheres (135m) without any water intake. The cream dial has black Arabic numerals with an outside minute track. To handle, it looks very small by current standards, but the design of the bezel gives me a bit of a ‘lift’ and aids in making it seem a bit bigger. It sits very lightly and comfortably on the wrist. As was the case with the Omega Cosmic, the importance of this watch in Omega’s history has been commemorated by a faithful modern reproduction. In 2007 Omega produced a limited edition of the same design for the Omega Museum collection, and called it the ‘Marine 1932’. Limited to 135 pieces, the number commemorating the 1937 trials that certified the watch’s water resistance to 135m, and in 18 carat red and white gold with the classic sliding and removable case design. This modern homage contained a much more glamorous movement, the Calibre 2007 with a Co-Axial escapement and with a 48-hour power reserve. It is also significantly bigger, at 33.05 mm wide and 50.50 mm long. 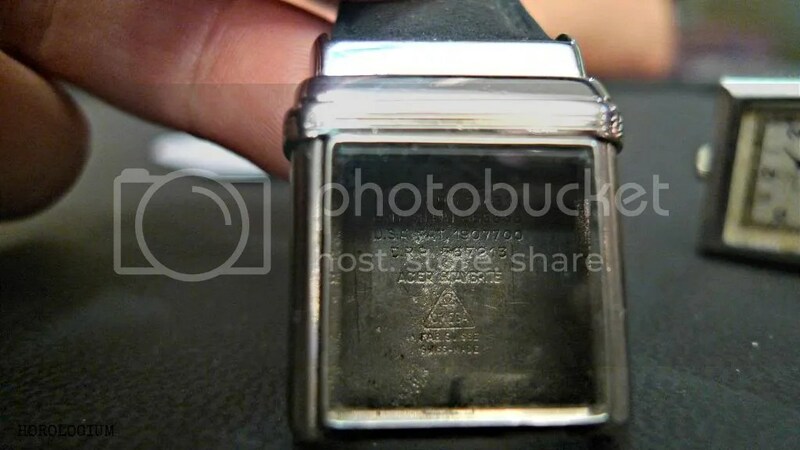 This was and remains an important watch for Omega. The behemoth Omega book devotes quite a few pages to it, including fascinating photos of the advertisements. You will notice one marked difference between some of the models – the placement of the hidden crown. 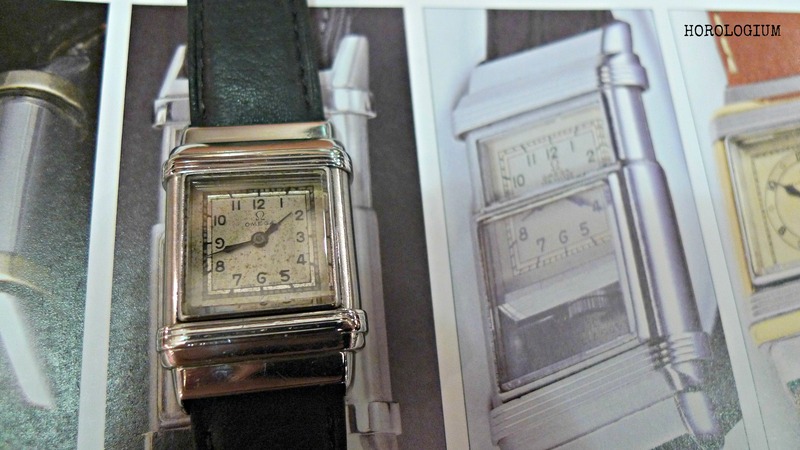 This is a lovely example of a very interesting watch. Even for those not interested in vintage watches or vintage Omegas, this is fascinating from a historical perspective, and very desirable. 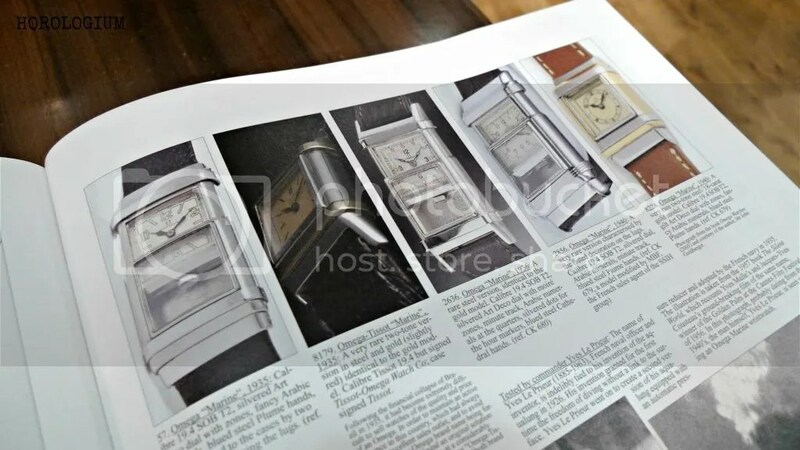 oh what a lovely article and what a watch! 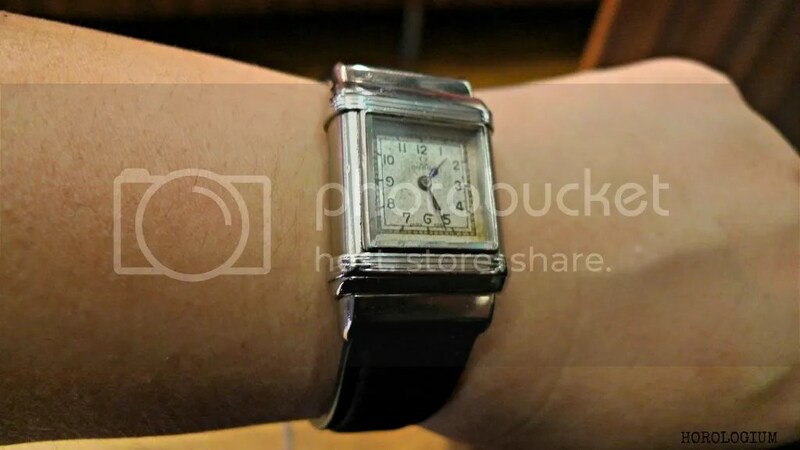 Historically the first dive watch?? possibly. 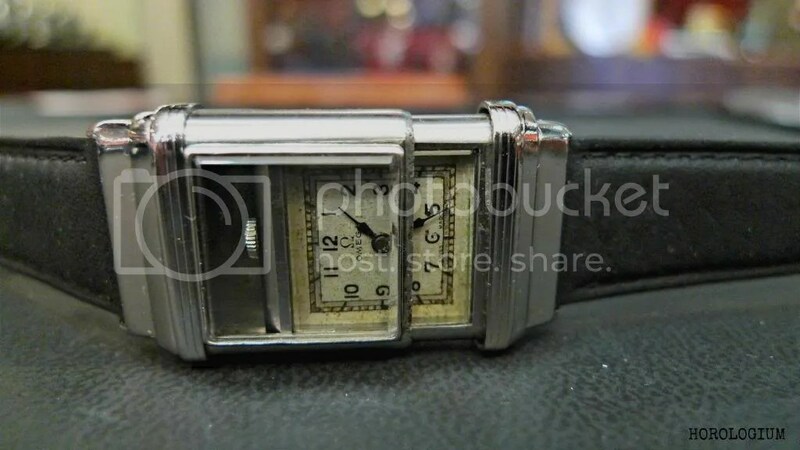 But I also love the art deco styling not dissimilar to JLC Reverso… it’s a rare watch… thanks for the write-up. 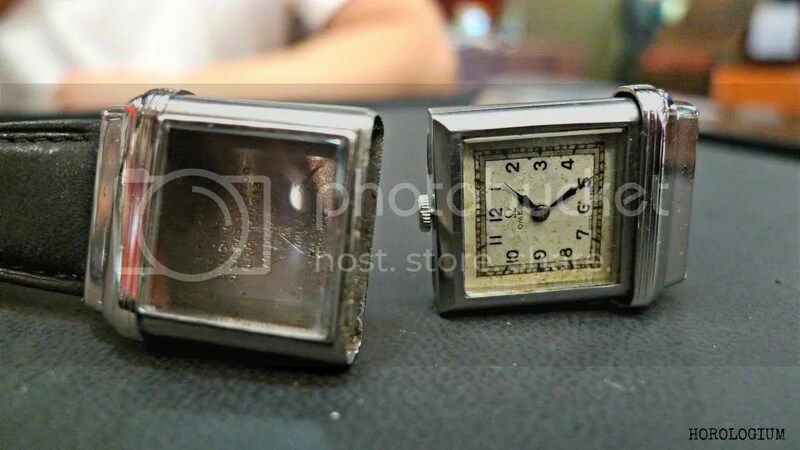 I inherited one of these watches from my father several years ago. 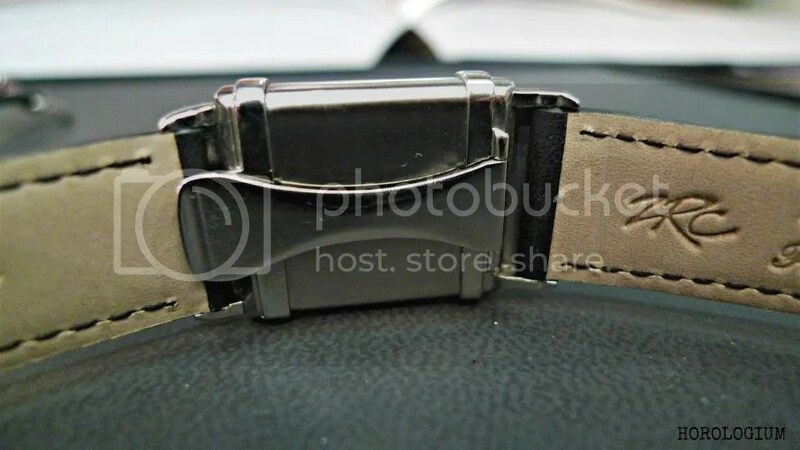 Probably even rarer than the watch itself is the original strap, apparently made from sealskin. 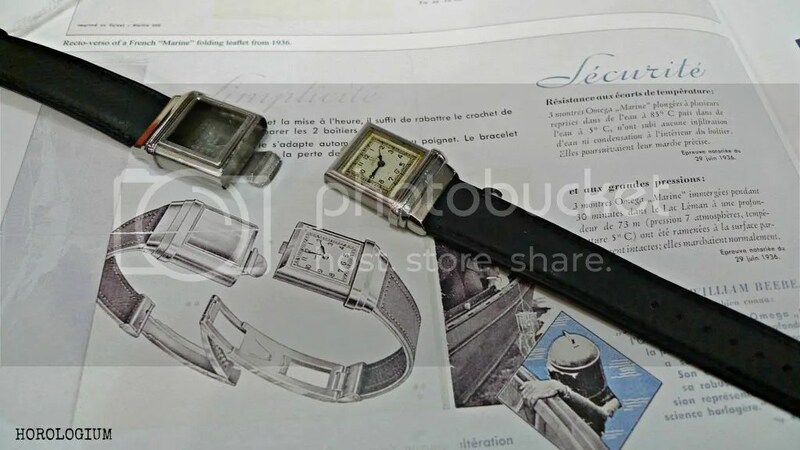 Impossible to obtain now I’m sure.I have been able to acquire some original magazine advertisements for the watch. Most advertising seemed to be directed toward the French market as far as I can determine . 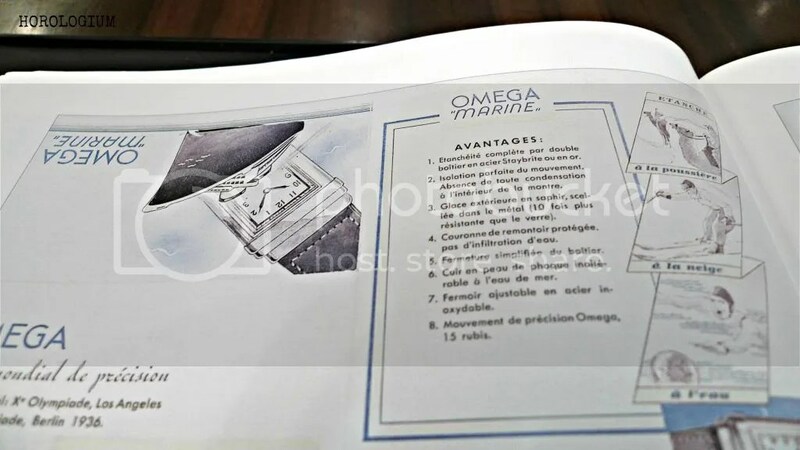 I have also been trying to source the original instructions ( pamphlet ) that Omega issued with the watch and determine what type of presentation case was issued as well.These are also probably now nearly impossible to find, but still, it’s interesting research! Great article, really enjoyed reading it. @FrankBird – thanks so much for sharing that. Sealskin? I had no idea. If you have access to the Omega mega-book that came out a few years back I believe there’s quite a few pages on it (I don’t have the book). That might help with your research. It’s a very intriguing watch.